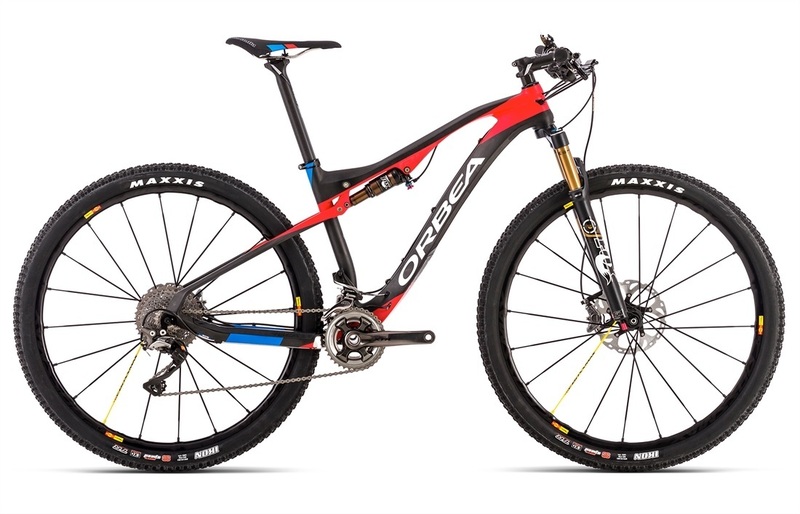 Click the button below to add the 2015 Orbea OIZ 27 M-Team Bike to your wish list. The Luna Chix have the Orbea Oiz Team as their main weapon. Considering they conquered the World Championships on the new Oiz, under Catharine Pendrel, it’s safe to write that the redesigned Oiz Team was a success for them. And will be for you. The Team is set up just like the Luna Chix ride it, from the carbon-fiber mix to the components. The carbon fiber is Orbea’s lightest, stiffest stuff, they call is OMR, short for Orbea Monocoque Race. It has a tapered 1 1/8” to 1 ½” head tube to keep the steering precise, and the package light. The monocoque main triangle is stiff and light. A major change for Orbea is they make this bike for both 27.5” and 29” wheels. The Small comes exclusively in 27.5, the Medium and Large in both 27.5” and 29”, and the Extra Large in 29”. The reason is because they believe that large wheels roll best, but they don’t always perform the best for every rider. This way, they’ve optimized their geometry and suspension for each wheel size in each frame size. They also put real work was put into improving the rear end. 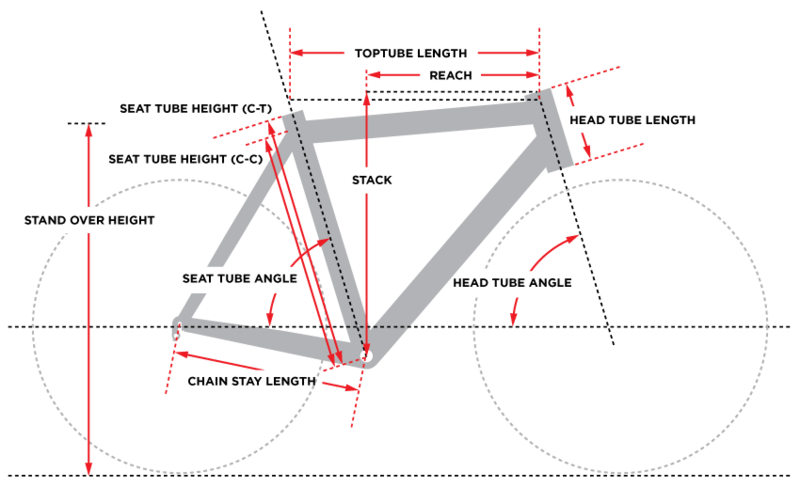 The stays are constructed as a right-side unit and a left-side unit, and then bolted together at the lower pivot and the upper rocker, the latter a molded carbon-fiber brace. With this, they were able to create pivot-less rear dropouts that are rigid and bulky for the chain stays and light and skinny for the seat stays. The seat stays are designed to flex on their own, which makes the rear end very sensitive to small bumps, smoothing out the ride without engaging the Fox Float 100 CTD shock with Kashima coating and a handlebar-mounted remote for control on the fly. The fork also takes advantage of Fox’s Float technology in a package that has 32mm stanchions and 100mm of travel. The CTD damper offers not only great tuning, but also on-the-go adjustments thanks to the handlebar-mounted remote. Those bars are the highlight of a FSA cockpit. K-Force 700mm flat bars, secured to a FSA OS-99 stem. Seat post is also FSA, also K-Force Light, in 31.6mm diameter and 400mm length. Wheels are the cross-country pro’s standby: the Mavic Crossmax SL. Light, strong, durable. These come set up with quick releases, as the fixing system is the simplest and fastest when needing to change a flat. The tires are the all-condition Maxxis Ikon, 2.2” width, tubeless ready, and with a little extra flat protection. Whereas the LTD features Di2 XTR, the Team has mechanical XTR. It never needs a charge, and with redesigned derailleur geometries, the shifting is better than ever. The Shadow Plus rear derailleur is virtually hidden from the ground and mech-destroying rocks and logs. The direct mount front derailleur has a redesigned cage and an innovative side-swing design, which both improves clearance and reduces effort needed to shift. Gearing is 36/26 up front and an 11-40 eleven-speed cassette in back. Braking is XTR as well. The bike relies on the race calipers stopping 180/160mm Ice Tech rotors. Ice Tech uses fins and varied metals to keep the rotors, and your hydraulic fluid, from heating up. The cooler the system, the more consistent and reliable it is. The Orbea Oiz Team is good enough to win the cross-country World Championships. It can handle what you’ve got in mind.